Add your custom coordinates to the leather money clip wallet. 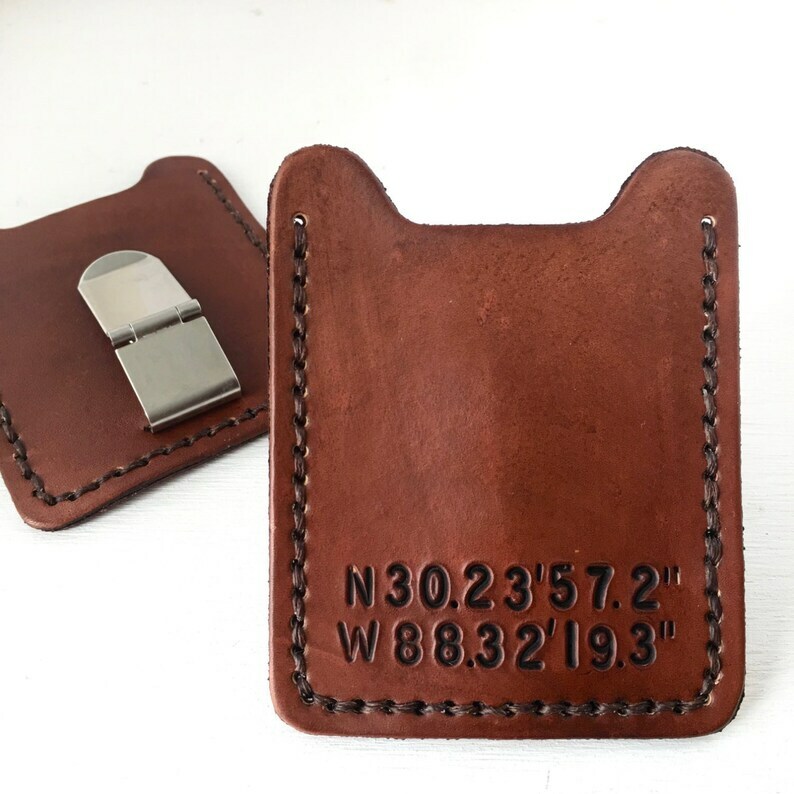 This leather money clip wallet can be customized with the custom coordinates of your favorite location in the world! Maybe it's your home, wedding location, or favorite vacation spot! 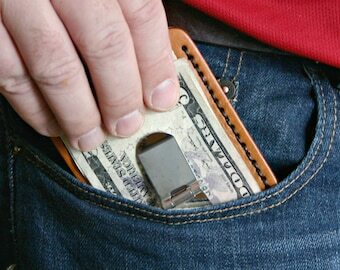 Keep your cash easily accessible in the money clip of this leather wallet. It will hold 5-7 credit cards and drivers license. This wallet is meant to be carried in your front pocket. Leather is the traditional gift for the 3rd anniversary. Tell me your custom coordinates in the "Note to seller" on the checkout page. Every piece of leather absorbs dye differently. 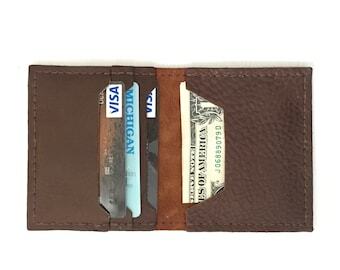 Your wallet may look slightly different than the one shown here. Contents not included. Each letter, character, or image is individually stamped by hand. There may be some variation in stamping and alignment. We do our very best to stamp evenly. Slight variations add to the unique handmade-ness of the item. Great product, and it shipped right on time. Thank you so much! Incredible! So glad to finally have a cardholder/money clip, and feel even better having one that means something special to me. Thanks FatCatLeather!